Kia’s stunning Stinger 2.0 T-GDi ‘GT-Line’ has been awarded ‘Best Petrol Tow Car’ at The Tow Car Awards 2018. Despite not looking like the typical tow car, it just goes to show the diversity and performance of this incredible Gran Turismo. Cars are assessed in four categories; Towing, Everyday Driving, Practicality and, Buying and Owning. With over 40 cars tested this year, the Kia Stinger was awarded for its joint venture between Practical Caravan, What Car? and the Camping and Caravanning Club. The Kia Stinger is Kia’s first grand tourer and first rear-wheel-drive car in the UK. The Stinger 2.0 T-GDi GT-Line has a maximum trailer load of 750kg unbraked and 1,500kg braked. It's not just us who say the all-new Kia Stinger is a 'Game Changer', the Stinger has been officially lauded with this at this year’s Autocar Awards. The most adventurous model in the company’s history, the Stinger was recognised for its ability to compete with rivals that have been long-established in the sector with its elegance, dynamism and sophistication.Encapsulating Kia's slogan ‘The Power to Surprise’, the Kia Stinger is a truly lives up to it's accolades. Did you know the Kia Stinger also won 'Best Performance Car' 2018? The Best Petrol Tow Car Award and 'Game Changer' AutoCar awards are, of course, not the only awards the Kia Stinger has been honoured of winning since its release in 2017. Recently winning the prestigious ‘Best Performance Car’ in the UK Car of the Year Awards 2018, the Stinger was evaluated and compared by a well-respected panel of UK journalists, the Stinger came top of its class, fighting off stiff competition in a segment normally associated with more premium brands. The Stinger impressed judges with its striking styling, excellent handling, high levels of equipment and appealing value for money. Boasting a twin-turbo V6 with the capability to launch the five-seater gran turismo from 0-60pmh in a time of 4.7 seconds, making it the fastest-accelerating Kia ever. 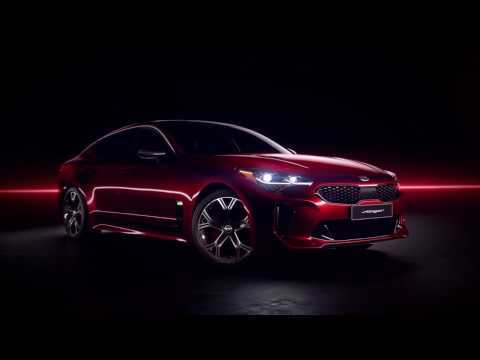 Experience this for yourself by test driving the new Kia Stinger at our dealerships in East and West Sussex.​​ Simply contact us in branch today by completing an enquiry form, or by phone. Alternatively, visit either one of our dealerships in Eastbourne or Pulborough, and speak to a friendly member of team.